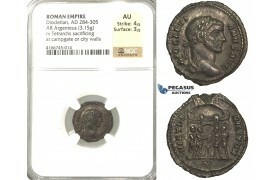 P62, Roman Empire, Diocletian (284-305 AD) AR Argenteus (3.15g) Rome, Campgate, NGC AU Obv. 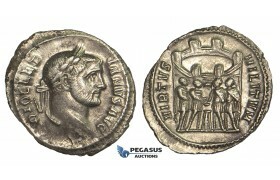 : Laurea..
ZD84, Roman Empire, Diocletian (284-305 AD) AR Argenteus (3.01g) Rome, Obv. : Laureate head right. Re..